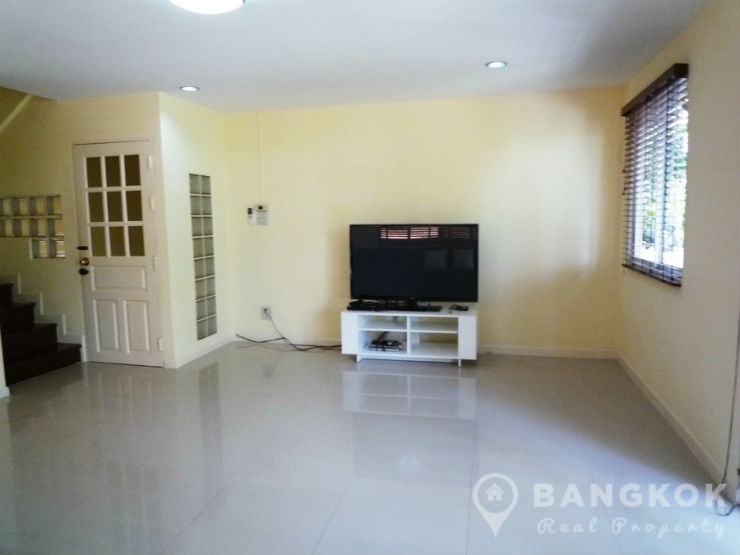 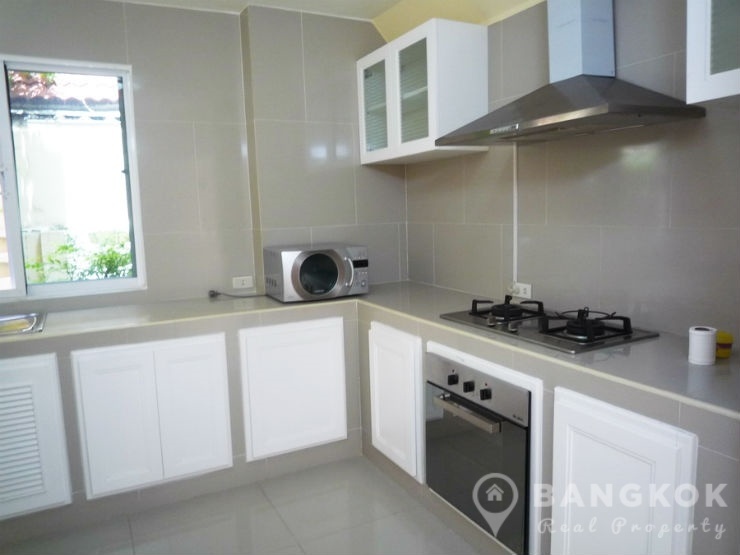 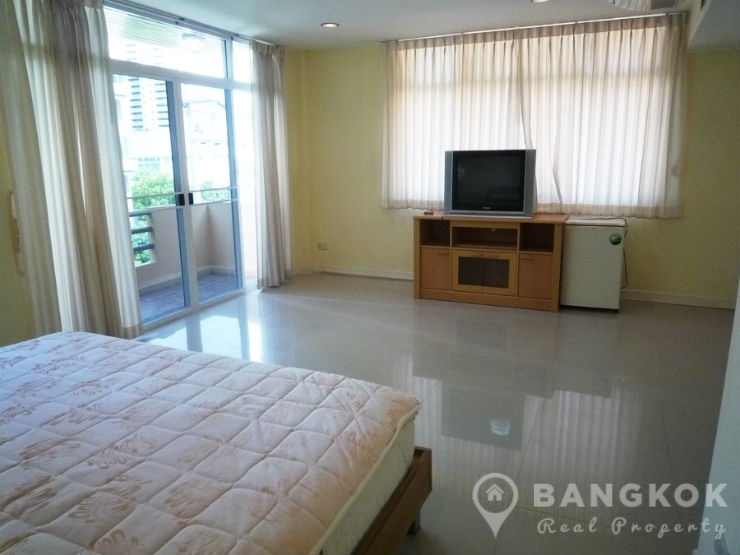 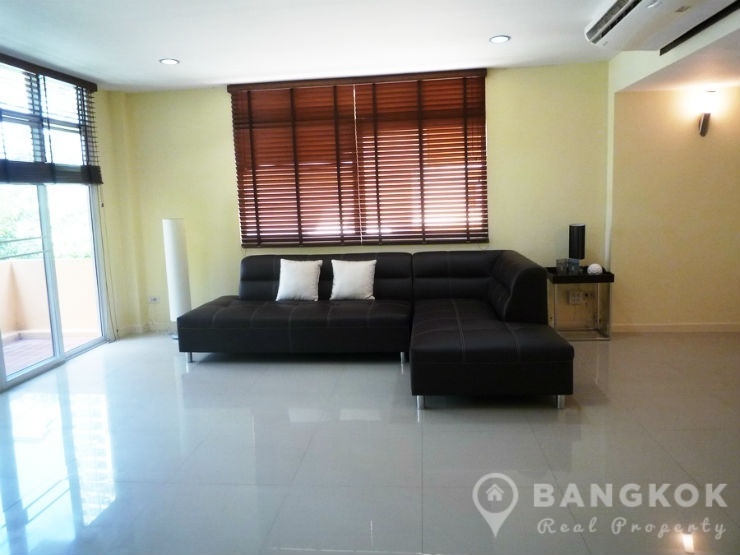 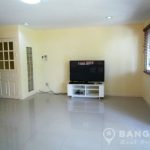 A bright, spacious, 4 bedroom town house for rent in Sukhumvit 31, is now available close to all the local amenities of Phrom Phong and Sukhumvit and with easy access to the CBD via the BTS at Phrom Phong. 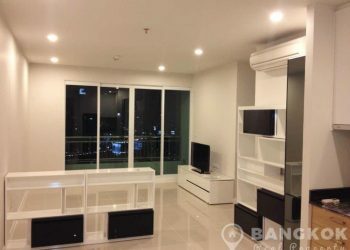 This town house for rent in Sukhumvit 31, has just been completely renovated in a modern contemporary style and is fully and tastefully furnished throughout. 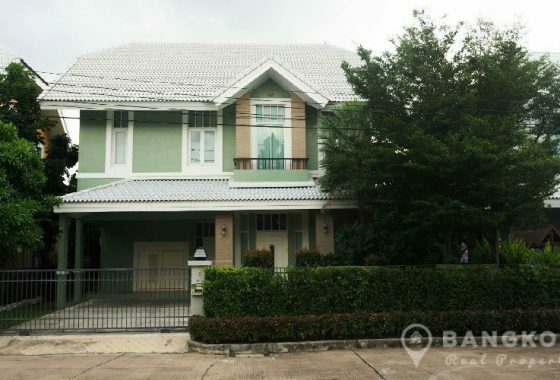 Superbly located in a quite soi just off Phrom Phong’s Sukhumvit 31 (Soi Swatdi), this detached 4 storey (4 floors) town house sits on a plot of 40 sq.wah (160 sq.m) and has 400 sq.m of internal living space. 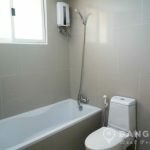 The house offers 4 double bedrooms all ensuite, 5 bathrooms, a bright living room, separate dinning room and also a study room. 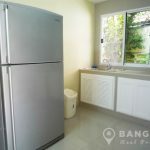 Also available is 1 maids room with bathroom, a large storage room and outside there is off street parking for 2 cars and a small but mature garden. 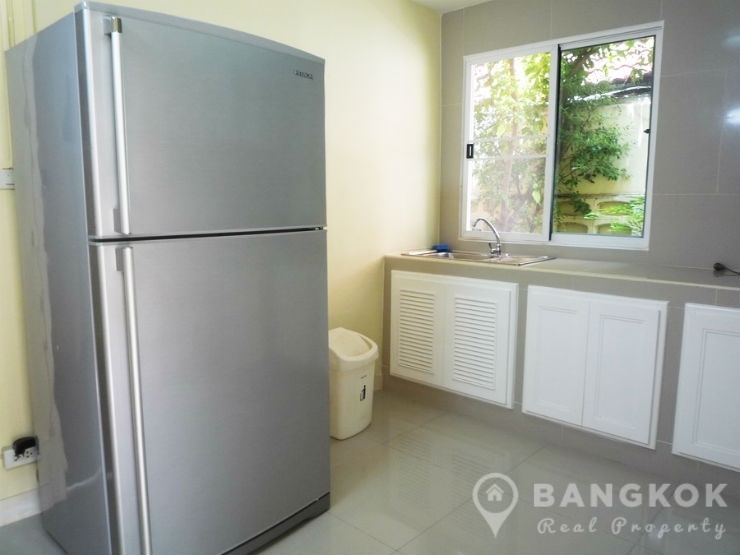 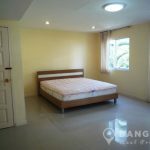 This town house for rent in Sukhumvit 31, offers any couple or family a modern, comfortable home located within easy reach of the CBD. 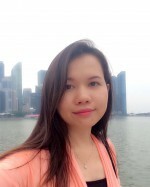 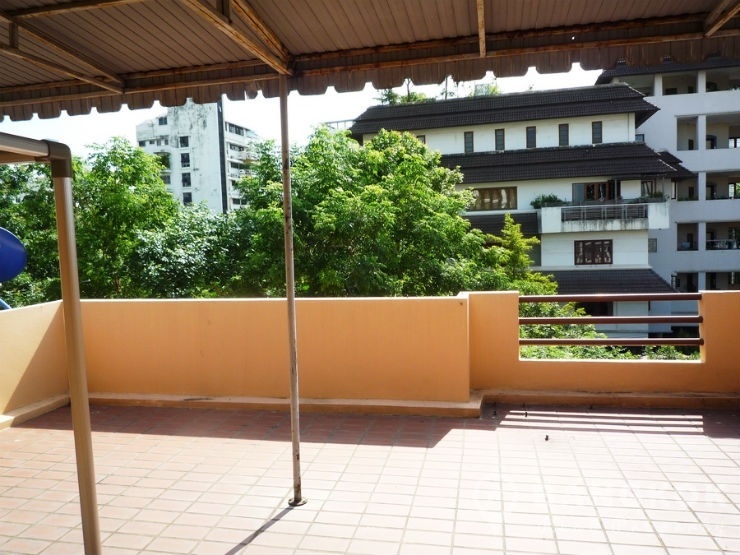 The house is about 15 minutes’ walk from Phrom Phong BTS, The EM District (EmQuartier + The Emporium) and located nearby are Terminal 21, Villa Market, Fuji UFM and several international schools including NIST. 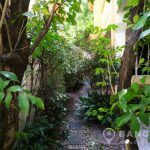 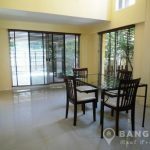 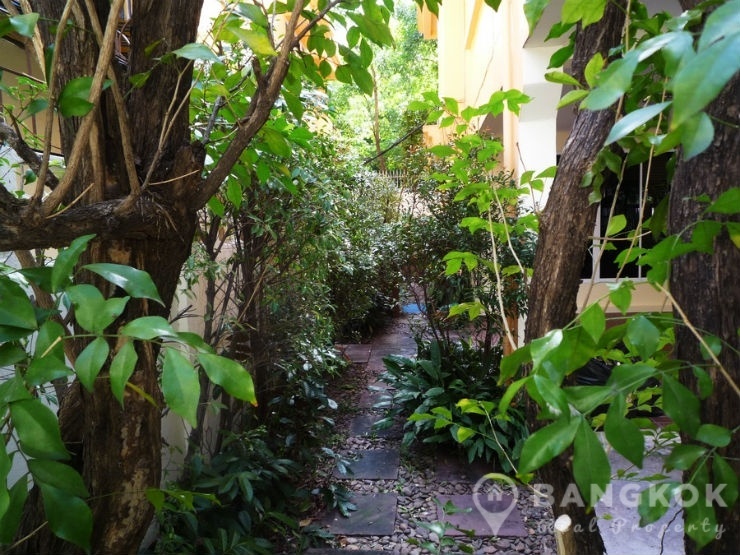 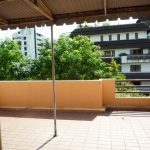 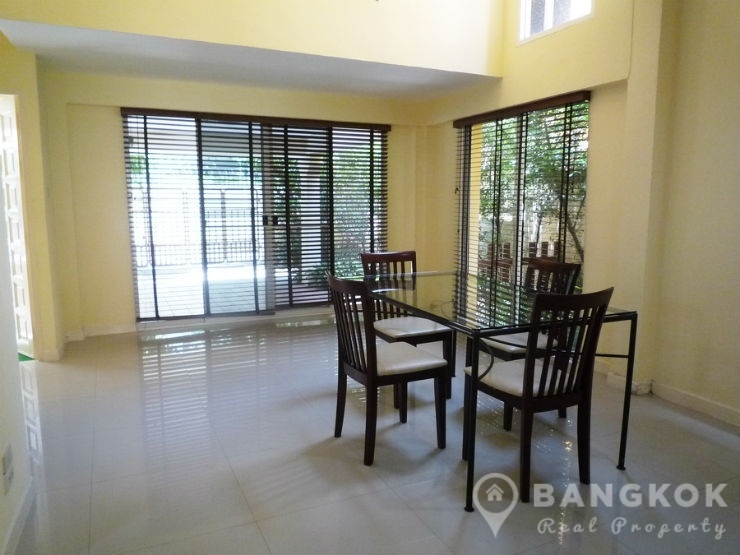 This is a renovated, detached, stand alone, 4 storey (4 floors) town house with a small garden, is located just off Sukhumvit 31 in a tree lined residential soi just 15 minutes walk from in Phrom Phong BTS Station.